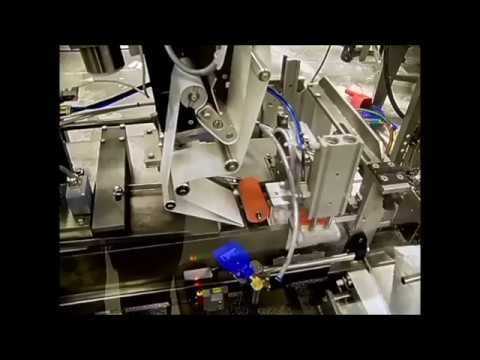 If you want to accommodate multiple bag designs and dimensions with fast speed and accuracy, you need a smart automated packaging device. The VikingMašek Intermittent Bagmaker series (S250 /300, MS300, S400, S650) are perfect for packaging a large variety of bags. It can accommodate multiple bag designs and dimensions with high speed and accuracy. It can produce from 50-130 bags per minute and handles bag sizes from 40 x 60 mm (S250) up to 650 x 1000 mm (S650). This vertical bag-maker is perfect for packaging small bags of snacks, candy, coffee, frozen fruit and for large bags of snacks, candy, coffee, pet food, powders, meat and poultry, bulk bags powders, wood chips, soil, grains and much more. VikingMašek is a global leading manufacturer of vertical baggers & multilane packaging solutions.